Crafted from pure SABIAN B20 Bronze using trickle-down technology from award-winning Evolution and X-Plosion cymbals, XSR delivers unpresendented sound and performance at a price designed to fit your cymbal budget. 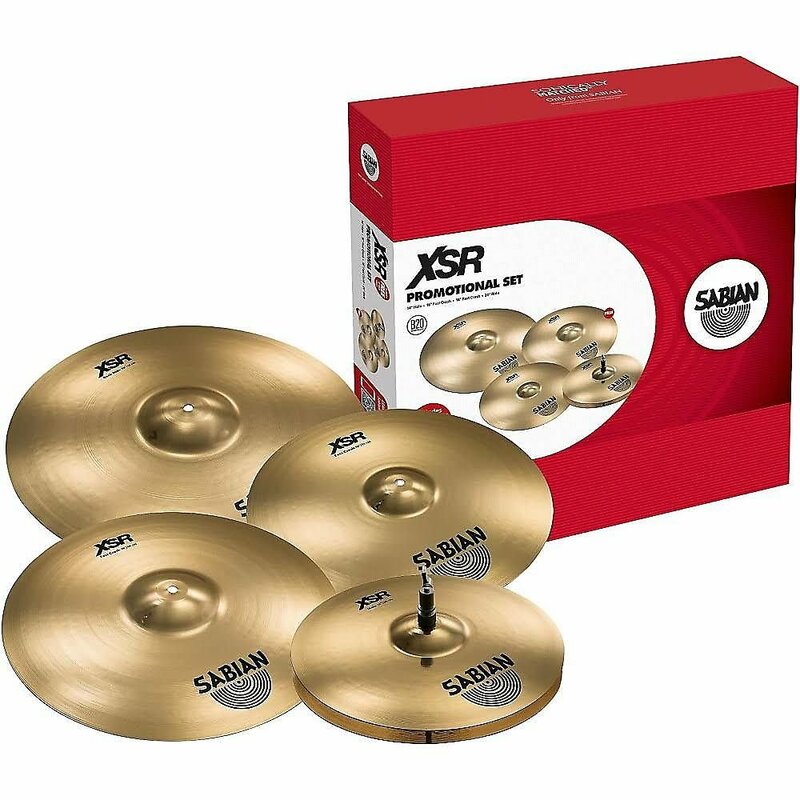 The SABIAN XSR Performance Set includes the highly-responsive 14" XSR Hi-Hats, a versatile and effective 16" Fast Crash, a tasty 20" XSR Ride and FREE 18" Fast Crash! XSR is not a budget series, but rather a line of smartly-priced cymbals that would not be out of place on any drum kit, on any stage.